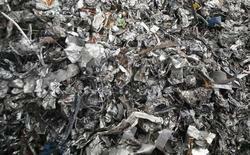 We are here to provide steelshredding services without any delay with secure shred. Homogeneous iron and steel scrap magnetically separated, originating from automobiles, unprepared No. 1 and No. 2 steel, miscellaneous baling and sheet scrap. Average density 70 pounds per cubic foot. Clean aluminium extrusion including mixed mill finish, painted and anodised extrusion. Starvation is a well-known company, which deals with Aluminum extrusion 6063 scrap – shredded material. We offer shredded scraps that are processed from end of life vehicles. According to industrial parlance, the cost of these scraps, to a large extent, depends on material density. The higher density material commands higher price and lower density scraps commands lower price. Backed with the support of professionals, we are involved in providing a faultless range of Shredded Scrap, to the valuable patrons. We offer this product in different specifications that meet on patron’s demand. *Buyers who are interested in imported metal scrap on high seas sale basic can only contact. We offer our clients a comprehensive range of Shredded Scraps that are procured from authorized market vendors. These shredded scraps are extracted from old and used vehicles, machines and other metal structures. 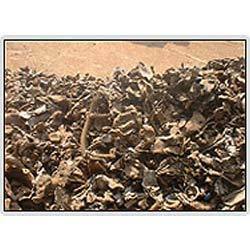 Our high density scraps are applicable for various purposes in host of industries. ISRI Grade:- 210 Shredded scrap. Homogeneous iron and steel scrap, magnetically separated, originating from automobiles, unprepared No. 1 and No. 2 steel, miscellaneous baling and sheet scrap. Average density 50 pounds per cubic foot. We bring forth a wide gamut of Shredded MS Scrap. It is procured from very reliable vendors in the market. Our range is huge in demand in various countries of East & Middle Africa, Indian Subcontinent, South East Asia, Middle East and East Europe. We are availing this range to our prestigious clients at competitive prices. It consists of ISRI code no. 210 & 211. It is derived from automobiles, miscellaneous bailing, sheet scrap & unprepared no.1 & no.2. Average density of ISRI Code no. 210 is 50 pounds per cubic foot and for ISRI code no.211 is 70 pounds per cubic foot. We are engaged in providing Shredded Metal Scraps to our most reliable customers which are situated all round the nation. We procure these scraps from the most reputed and authorized vendors of the market with the help of our experienced procuring agents. Specifications -: We supply good quality shredded scrap ISRI 211, ISRI 210 and ISRI 211&210 Mix on regular basis. Our prices are most competitive. We do shipment in 20 Ft & 40 Ft Containers.